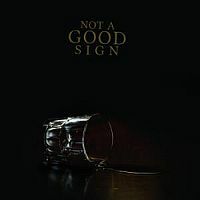 A lot of hype had been generated prior to the release of Not a Good Sign's debut CD, featuring the likes of Paolo “Ske” Botta and Francesco Zago, both warriors at Yugen and several other projects. With the addition of Alessio Calandriello on vocal duties and Gabriele G. Colombi on bass (both from La Coscienza di Zeno), the hype seemed justified as far as the big names went. Would the music justify all this attention? This time, Zago and Botta share writing responsibilities pretty much straight down the middle, however, it doesn't sound like any of their projects, yet at the same time it sounds like all of them. The first obvious thing is that it's not as intricate as Yugen's music, but it's not as accessible as Ske. It's somewhere in the middle, with some more classic 70s prog and hard rock thrown in. King Crimson, I think, play a big role in this album, as a lot of it has a similar feel to the “Red” period. It's not a direct nod to Crimson in any respect, it's more about combining heaviness, dreaminess, melodic elements and complicated arrangements which make a lot of sense in a weird kind of way. Not A Good Sign wasn't exactly what I expected, but I'm glad it wasn't. Zago and Botta are men of many faces and after this I'm fairly convinced they are capable of doing just about anything. The La Coscienza di Zeno guys, of course, played no small part in making this album as intriguing as it is. Not A Good Sign released an album of such quality which one would expect from such experienced and weathered cats, though the content was still fairly surprising. I'd been a bit hot and cold with Yugen in the past, but this is pushing all the right buttons for me. It has enough of everything and is devilishly addictive. This album is definitely a good sign!